Featured amenities include a business center, limo/town car service, and complimentary newspapers in the lobby. Planning an event in Aix-en-Provence? This hotel has facilities measuring 3229 square feet (300 square meters), including conference space. Free self parking is available onsite. 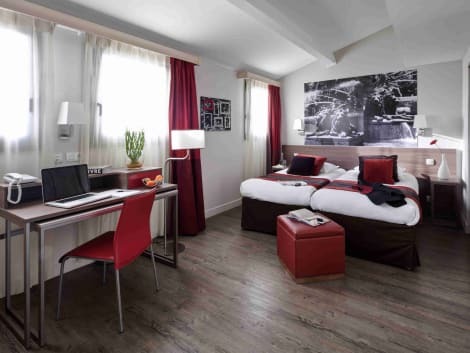 A stone's throw from Place de la Rotonde and the famous Cours Mirabeau, the Adagio Aix-en-Provence Centre is located in the very heart of the city, close to shops and entertainment. 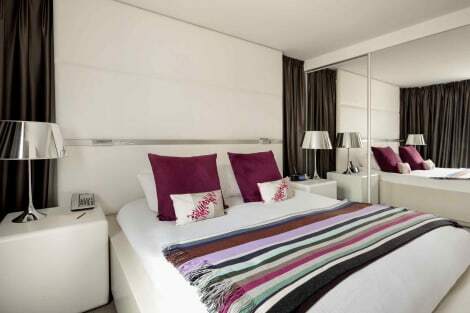 A 4-star holiday residence, Aparthotel has 89 air-conditioned apartments from studios for 2 people to 3-room apartments for 6. Perfect for a business trip, or for a getaway with your partner or family. The Aparthotel has an undercover car park and free high-speed Internet access. With a stay at Hotel Aquabella in Aix-en-Provence (Aix-en-Provence Historic Centre), you'll be within a 5-minute walk of Saint-Sauveur Cathedral and Aix-en-Provence City Hall. This 4-star hotel is 10.7 mi (17.2 km) from Plan de Campagne and 0.2 mi (0.3 km) from Pavillon de Vendome.